Abstract: This talk will be given in tutorial form so that those not familiar with metamaterais can understand it. All that is needed is a first two years of under graduate engineering. What is metamatamaterials will be explained in simple terms followed by its advances. Metamaterial antennas have progressed considerably in the last few years. Kymeta had demonstrated December 2014 the transmission to satellites and back at K-band using metamamaterial antennas which employed metamaterial resonators to control the electronic beam steering. No phase shifters were used. A clear explanation of how this antenna works is given. Kymeta expects to have its Ku-band metamaterial antenna commercially available in 2017. First use is planned at K-band (10-15 GHz) on vessels anywhere in the world for high speed internet using satellites. PARC, a Xerox . Co., has developed a metamaterial antenna 2.4 GHz for use in cell towers. They plan to also use a higher frequency version for self driving cars employing artificial intelligence (AI). (The metamaterial group of PARC has recently been spun off as Metawave.) Echodyne has developed metamaterial arrays for radar. The Army Research Laboratory in Adelphi MD has funded the development of a metamaterial 250-505 MHZ antenna with a λ/20 thickness. Complementing this a conventional tightly coupled dipole antenna (TCDA) has been developed which provides a 20:1 bandwidth with a λ/40 thickness. Target cloaking has been demonstrated at microwaves over a narrow band using metamaterials. With cloaking the electromagnetic wave signal transmitted by a radar goes around the target making it invisible. Thus we could get the Invisible Man. Cloaking has also been demonstrated at L-band with a 50% bandwidth using fractals. It has also been demonstrated for a flat plate at normal incidence using fractals. Stealthing by absorption using a thin flexible and stretchable metamaterials sheet has been demonstrated to give 6 dB absorption over the band from 8-10 GHz, larger absorption over a narrower band. Using fractals material < 1 mm thick simulation gave a 10 dB reduction in backscatter from 2 to 20 GHz, ~20 dB reduction from 9 to 15 GHz. Good results were obtained for all incidence angles for V and H polarizations. Cloaking is being worked on at MIT for stealthing against sonar signals. Using metamaterial one can focus 6X beyond diffraction limit at 0.38 μm (Moore’s Law marches on); 40X diffraction limit, λ/80, at 375 MHz. Has been used in cell phones to provide antennas 5X smaller (1/10th λ) having 700 MHz-2.7 GHz bandwidth. Provided isolation between antennas having 2.5 cm separation equivalent to 1m separation. Used for phased array wide angle impedance matching (WAIM). It has been found that n-doped graphene has a negative index of refraction. Metamaterials not new, Marconi had a 1919 patent using it and the ancient cathedrals used it with nanoparticles to get the brilliant colors in their windows. Amazing. 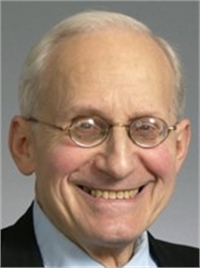 Biography: Dr. Eli Brookner: MEE & DrSc Columbia Un ’55 &’62; BEE CCNY, ’53. Raytheon 1962-2014 (retired); Principal Engineering Fellow; worked on radars for air traffic control, military defense, space & navigation: on ASDE-X, ASTOR RADARSAT II, AGBR, major Space Based Radar programs, NAVSPASUR, COBRA DANE, PAVE PAWS, MSR, COBRA JUDY Replacement, THAAD, SIVAM, SPY-3, Patriot, BMEWS, UEWR, SRP, Pathfinder, Upgrade for >70 ARSRs, AMDR, Space Fence, 3DELRR. Before Raytheon: Columbia Un Electronics Research Lab. [now RRI], Nicolet, & Rome AF Lab; Awards: IEEE 2006 Dennis J. Picard Medal for Radar Technology & Application; IEEE ’03 Warren White Award; IEEE AESS Outstanding Organizational Leadership Award, 2017; Journal of Franklin Institute Premium Award best paper, 1966; IEEE Wheeler Prize for Best Applications Paper, 1998. Fellow: IEEE, AIAA, & MSS. 4 books: Tracking, Phased Arrays & Radar. >10,000 attended courses in 25 countries. Banquet & keynote speaker 13 times. > 230 publications. > 100 invited. 6 papers in Books of Reprints. 9 patent.